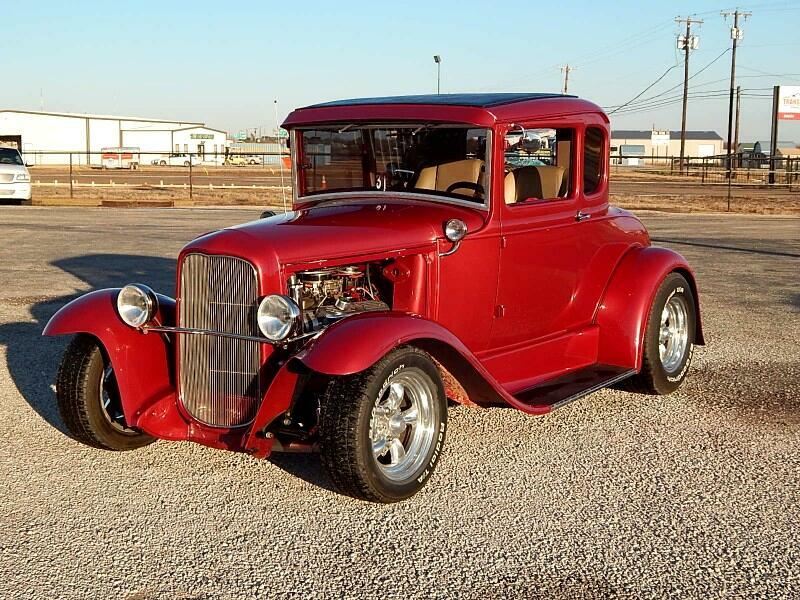 Lone Star Muscle Cars Is Proud To Present This All Steel 1931 Ford Five Window Coupe. Powered By A ZZ4 Chevrolet 350 With A Four Barrel Edelbrock Carb Coupled to a 700-R4 Four Speed Automatic Transmission makes this little guy super fun to drive. Tons of Chrome Under the hood will make this car a hit at the local car shows. On the exterior you will notice a show quality paint American Racing Wheels Full Metal Fenders And A 32 Front Cowl with steel running boards. On the Interior you well see an all leather seats with power on the drivers side tilt wheel for easy entry Power Windows. For your driving pleasure a custom sound system and Vintage Heat And Air System. Four Wheel Disc Brakes And Mustang Two Steering Duel Exhaust With Headers And So Much More. Call For More Info. Message: Thought you might be interested in this 1931 Ford Model A.